We expect the Garrett Planning Network to quickly take down this SEC violation from their website in response. Here in Virginia we had a governor who went to jail for promoting a business while receiving gifts. 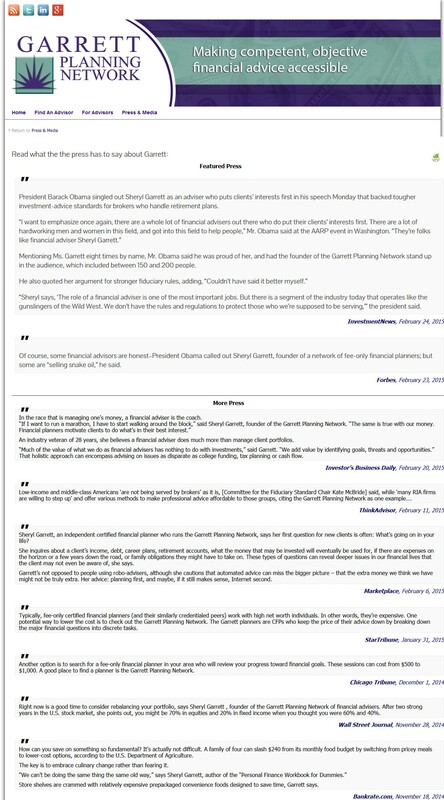 Obama’s quotation of Garrett in support of greater regulation was certainly payment enough for his endorsement of her. At least the AARP had the political sense to distance themselves from the President’s remarks.